The owner of Dior Homme Sport is a bright and energetic guy, spending every second of his life in motion. He does not represent a single day without love and generously presents other people with it. He is open to feelings and emotions, not afraid to rejoice, laugh and dream.Sport is an integral part of his image. He pursues perfection, elusive and ghostly ideals of beauty. Healthy nutrition, exer.. The owner of Dior Homme Sport is a bright and energetic guy, spending every second of his life in motion. He does not represent a single day without love and generously presents other people with it. He is open to feelings and emotions, not afraid to rejoice, laugh and dream. Sport is an integral part of his image. He pursues perfection, elusive and ghostly ideals of beauty. Healthy nutrition, exercise and activity - not so much an imitation of fashion trends, as an internal philosophy. Cologne is ideal for serious and determined men who do not fear their own emotions, always achieve their intended goals. They gush forth with ideas, implement various projects and ideas. They are the ones who always translate cherished dreams into reality. The fragrance is completely universal. It sounds equally worthy both on young guys and mature men. The only criterion that the future owner of Dior Homme Sport should be endowed with is the innate sense of style. Perfume is part of the group of wood-fougere with bright citrus and spicy chords. It is completely universal, suitable for any time of the year. Absorbed by the spirit of the modern metropolis, it reflects the current fashion trends and trends, preaching the ideas of street fashion, sports chic. The fragrance will be equally relevant in an elegant social event as well as in a stuffy, boring office. Dior Homme Sport is available in minimalist unbreakable bottles with innovative sprayers. So, with each press a special bag is compressed under the action of air flow, releasing aromatic streams. The unique structure prevents the emission of gas, which protects the environment, does not allow harmful emissions. A fragrant cloud of microscopic droplets is evenly distributed, providing a more intense and lasting sound. Thus, a similar spraying mechanism is far superior to classic sprays. 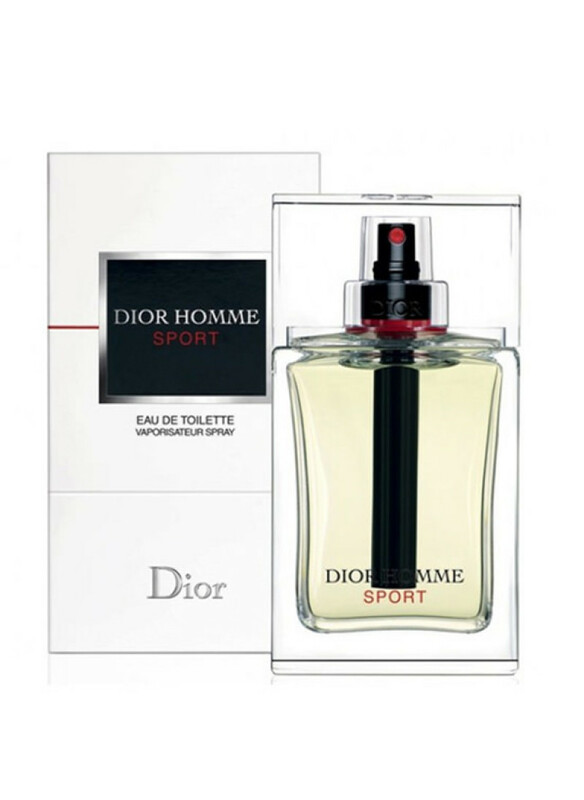 Dior Homme Sport - perfume, which is fully consistent with the lifestyle in the modern metropolis. It opens spaces for development and self-expression, allows its owner to be free and liberated. Spirits are distinguished by a long concentrated train, in which you can distinguish fresh citrus and spicy woody notes. They have an amazing resistance - up to 10-12 hours.